Tractores Pauny - PAUNY CELEBRATED ITS 15 YEARS; LAUNCHED 2 NEW TRACTORS IN THE MARKET AND HAS LARGE PROJECTS FOR 2017. PAUNY CELEBRATED ITS 15 YEARS; LAUNCHED 2 NEW TRACTORS IN THE MARKET AND HAS LARGE PROJECTS FOR 2017. 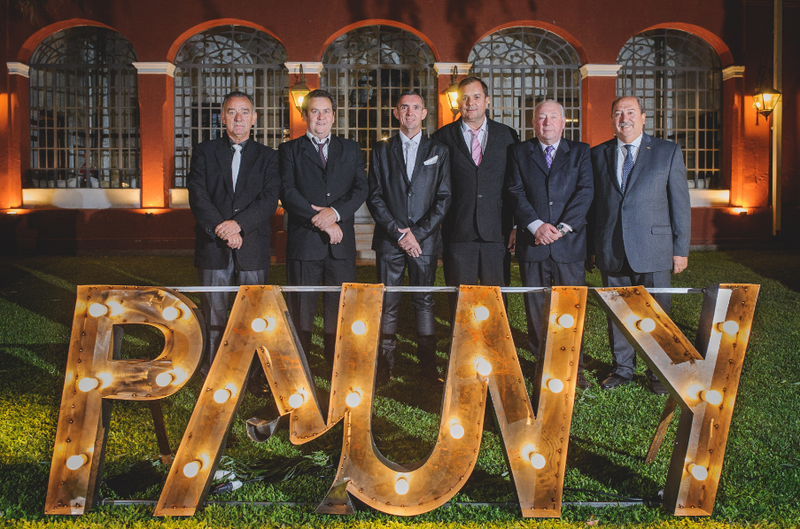 On Saturday, December 16, Pauny, the leading tractor company in Argentina, celebrated its 15th anniversary and held a party attended by: executives, collaborators, dealer representatives, customers, media and municipal, provincial and national government authorities. During the event, they presented the commercial results obtained during 2016 and the launches and growth plans for 2017. On this occasion, Pauny presented two new products: NEW ARTICULATED TRACTOR (MODEL: 590 PS ie) and a NEW DESIGN OF THE ASSISTED TRACTOR LINE that adapts to the new generation sowers (MODEL: 2.200 A). Developments that respond to the customers’ demands. In the first quarter of 2017, Pauny will start the production of the new conventional 200 hp assisted tractor, fully mechanical in its conception (engine and box) with an ideal hydraulic capacity for direct seeding with last generation machines. On the other hand and in the segment that stand out, the one of the articulated tractor, it will be offered a full power shift equipment with independent PTO and hydraulic capacity unique in the market. In addition, next year, in the road field, it will aim to conquer the market with its traditional product of motor grader and a new model of greater power and its conception of machine completely reformulated; with backhoe loaders of 80 and 100 hp, and loader shovels of 1, 2 and 3 m bucket. Check out all the event’s photos on our Facebook!